How to hide individual labels in QGIS? How can I hide individual labels if the there are too many as in the example? An easy method is to add a field to your layer, for example you can name it show_lbl. Make it integer type. For the features where you want to show labels (I assume most of them), fill it up with the value 1. For the features where you do not want to show labels, fill it up with the value 0. Then in the label dialog, where you configure the label display options, add a filter like "show_lbl" >= 1. The feature labels should be displayed/hidden to your liking. Under Layer properties > Labels > Placement > Repeat you can enter "No repeat" It's case sensitive so just like that. If the Label is generated from a Attribute and you have multiple features with the same attribute you may have to create a filter or use rule based labeling so that the label only displays on selected features. Is this the case? If there is no particular rule to which labels you want to hide and you want to manually toggle visibility, try playing around with the in-built label editing tools in QGIS 3.x (if you don't see it it's under View > Toolbars > Label Toolbar). 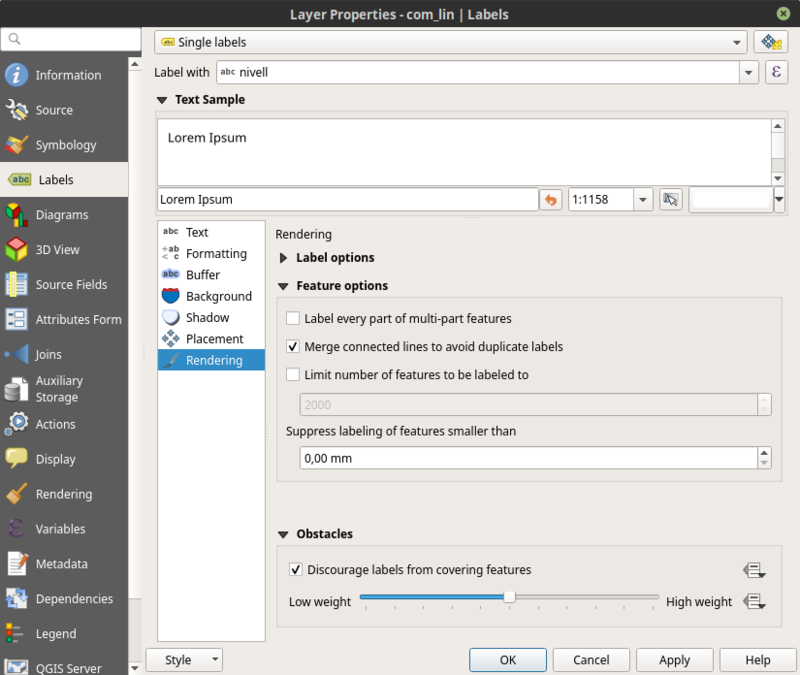 Select the layer you want to edit the labels for. Shift-click on the label you want to hide. The first time you do this, a popup should show up asking you to select a primary key; select an attribute that contains an UNIQUE ID (preferably numeric). For multi-part features I have sometimes used the move label feature to reduce it to one label. You can reset the label to the default visibility by control-clicking and dragging your mouse across the area where the label used to be. Note that the label positioning is saved within an auxiliary database in the qgis project and not your file itself. For line features another thing you can try is under the label settings > Rendering (the paintbrush symbol at the end) check 'Merge connected lines to avoid duplicate labels'. Not the answer you're looking for? Browse other questions tagged qgis labeling or ask your own question. How to create text labels with background boxes? How to align labels using Label toolbar? How to customize label color in QGIS: Data defined label settings? Expressions? Both? What are the steps? 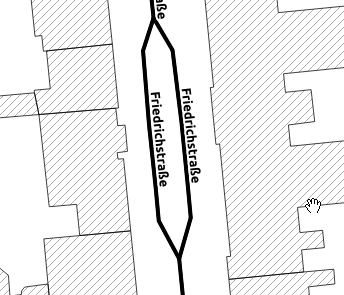 How to show Labels on Geoserver, only if they fit within the Polygon?